Sometimes finding the right exercise equipment that works for you can be challenging. In fact, there are many factors to consider when deciding to buy a piece of exercise equipment. For example, is the piece of equipment cost-effective, portable, and long-lasting? Many people choose large and bulky workout machines like a stationary bike or a treadmill that can take up a lot of space in a person’s home and are known for their expensive price tags. However, resistance bands have been proven to give a powerful workout to the entire body and may be more beneficial than a treadmill. Resistance bands are perfect for anyone working out a budget or wanting to pay less for exercise equipment. Most resistance bands, if sold individually, are priced under twenty dollars, however, since some resistance bands come in packs of two the price might increase to twenty or twenty-five dollars. In fact, most resistance band sets include an instructional booklet or DVD that displays numerous exercises you can do with a resistance band. 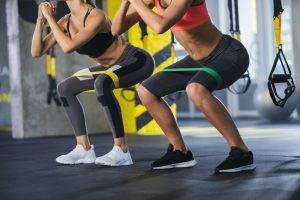 Therefore, paying twenty or twenty-five dollars for one or two resistance bands not only allows you to work out with a fantastic piece of equipment, but also gives you tips on how to do so. Resistance bands are the ideal exercise tool for kids, adults, and older adults since there are various levels of intensity. Resistance bands frequently come in light, average and heavy in order to fit all fitness capabilities. Although there are other ways, you can increase resistance to have an intense workout. 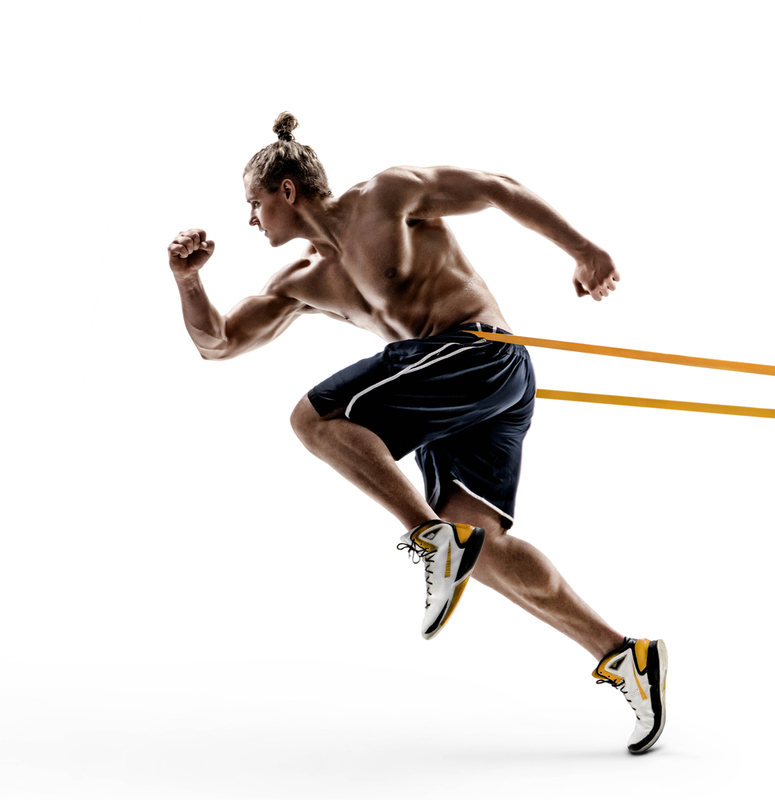 Many people change their position when using a resistance band, so they give less flexibility to the band, and therefore they can increase their chances of an intense workout. If you’ve used a resistance band before then, you’ll understand that it takes your entire body to work one properly. However, some people disagree stating that a resistance band only works out a person’s arms and legs. While a resistance band does effectively work out a person’s arms and legs, it can do so much more. Not only can a resistance band work out a person’s core, hips, and buttocks but it can do so in a variety of ways. In fact, the instructional booklet or DVD that will likely be included with the purchase of a resistance band can demonstrate to you the numerous exercises and different ways you can work out your body using a resistance band. For people who live in apartments or small homes working out can be tricky since there might not be enough space to place a treadmill or a stationary bike, but a great alternative to large machines is resistance bands. Resistance bands are known for their space reducing properties. Many people find that they can twist them up and place them in a drawer or hang them on a hook. Although there are many ways to store resistance bands due to their compact nature. Some people don’t have time to visit a gym to work out or plan their week around their revolving exercise schedule. For people who have busy lives, resistance bands are perfect for you, since resistance bands are so compact they’re easy for travel and will not occupy too much space in a suitcase, or luggage bag. In fact, since working out a resistance band doesn’t take too much space or time you can challenge yourself to work out in your hotel room or office. Therefore, resistance bands are the optimal travel accessory if you want to keep in shape while on the go. It’s commonly known that adding diversity to a workout allows the muscles to work out efficiently through different methods of exercise. Thus, adding a resistance band to your normal workout routine will aid your muscles by working them in different ways. Also, it’s more likely that you’ll experience an intensified workout due to the addition of a resistance band. However, some people like to set a lower resistance level when working out with a resistance band and following a routine, therefore, the body isn’t pushed too far when working out. Unlike other strength training equipment, resistance bands are safe to use even when no one is around. Resistance bands don’t have the risk of seriously injuring parts of the body as weight training does. Also, since resistance bands are a low-impact exercise, there’s less chance of damaging the muscles and joints when exercising. However, a person can be injured while exercising with a resistance band especially if he or she does not use the resistance band correctly or in the proper form. While there’s less risk than other machines and exercise forms, it’s essential that when exercised resistance bands are used carefully. Due to the nature of the exercise, resistance bands challenge your muscles to work harder by moving your body against the resistance. By enduring such a challenging workout, you’ll see many benefits towards your overall health. For example, your heart rate will rise which will increase the strength of your heart muscles and thus allow for greater endurance. Such endurance will increase the time spent on a workout and expand the number of calories you burn. Therefore, exercising with resistance bands provides a productive work out that includes increased intensity and calorie burning benefits. It’s true to you can add resistance bands to your workout routine or exercise with one in various ways. But you can also add a machine or another piece of exercise equipment to your workout. For example, some people use a resistance band with the addition of a dumbbell in order to intensify the workout. Therefore, resistance bands can be used in numerous ways with the addition of various types of equipment in order to have an effective and efficient workout.